One of our favorite things to do in February is to go strawberry picking at one of the local strawberry patches. It’s such a fun activity to go searching for the ripest berries. The only downside is that we always end up with a tummy ache because no one knows when to stop stuffing their mouths with decadent strawberries. When we come home with a bunch of berries, there’s so many recipes I have in my mind to make, but we usually end up just eating them plain, or with a little sweetened cream, because what’s better than strawberries and cream right? For these parfaits, I just sweetened some heavy cream with a little stevia, and homemade vanilla extract. 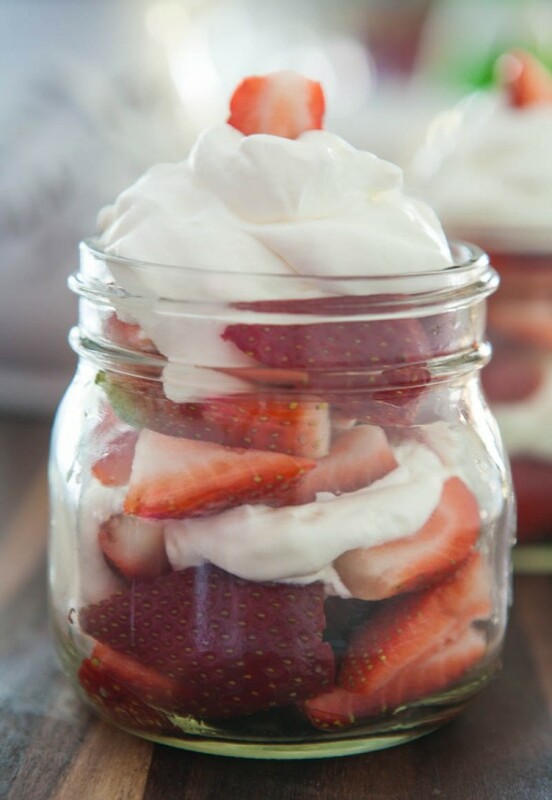 I layered in quartered strawberries, the vanilla whipped cream, then more fresh strawberries and even more cream. To make my whipped cream quickly for this recipe, I made it in my food processor. It’s the quickest and easiest way I’ve found to make fresh whipped cream in a hurry. Be sure to like Fresh from Florida on Facebook and follow @FreshfromFL on Twitter too! What are some of your favorite recipes featuring fresh strawberries? Combine heavy cream, vanilla extract and sugar in a large mixing bowl or food processor. Whisk until cream has soft peaks. 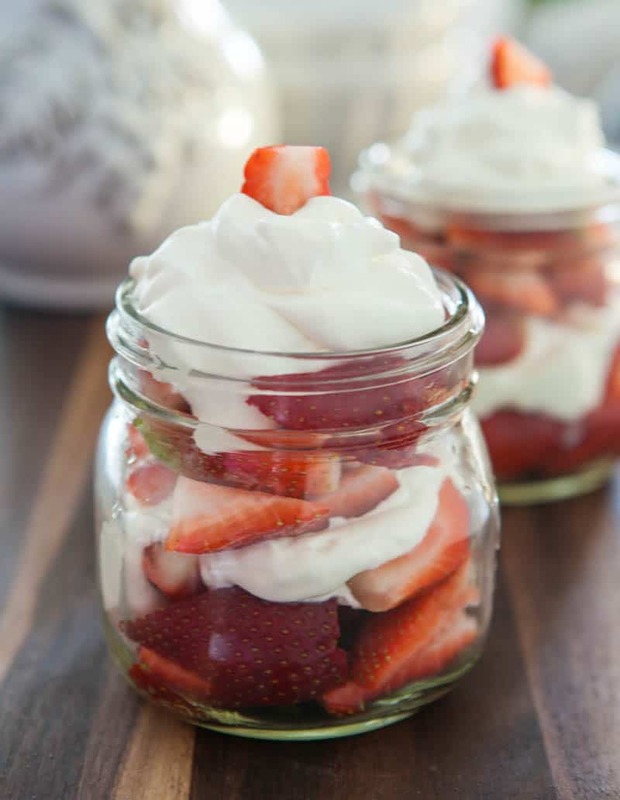 Layer strawberries and cream in dessert glasses or mason jars. One of my favorite desserts ever! I am obsessed with strawberries and can’t get enough of this dessert! So pretty! Pinned! What a great way to use some berries!! 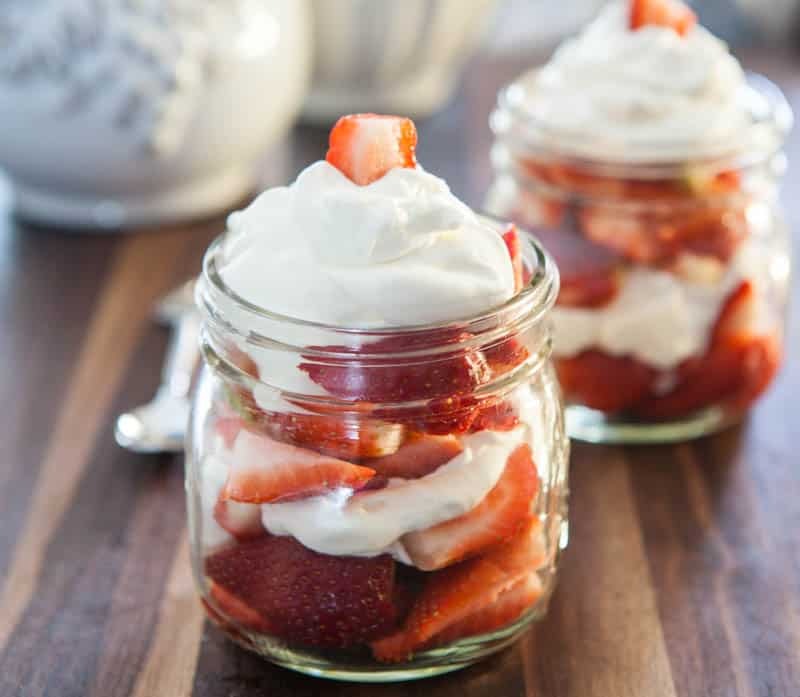 There’s no better way to eat fresh strawberries than with some homemade whipped cream!